I’m often on the receiving end of “gardening” gifts, which I gratefully accept and swiftly acknowledge with a hand-written thank you note. But after a recent conversation with my husband, I am reminded that civilians should not give “gardening” gifts. Responding to his inquiry this year, I asked for an Euscaphis japonica. His blank look told me it’s not likely to appear in my holiday stocking. But what I really want this year is something no one can give me: loose, well-drained soil. What gardener hasn’t dreamed of rich, dark, crumbly soil that water flows through at just the right rate? When we moved to our house five years ago I confronted hard, bare, compacted clay soil and immediately set out to build up something that could sustain my plants. 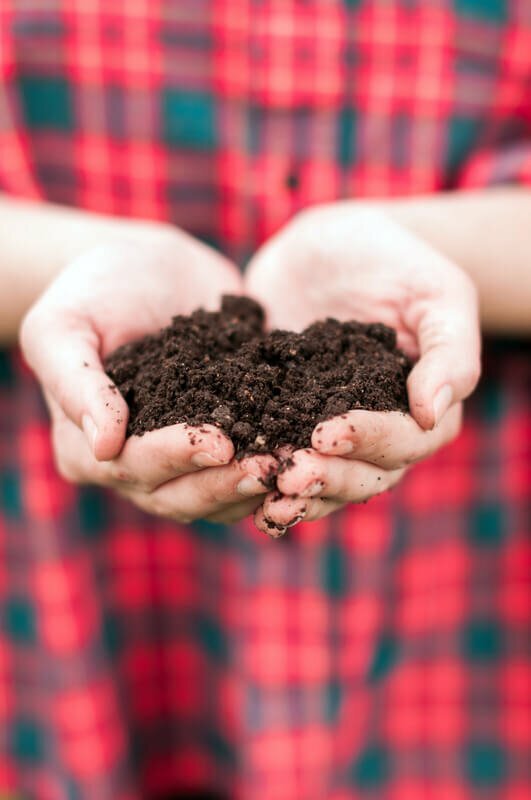 It takes Mother Nature 10,000 years to create one inch of topsoil, but I’m in a hurry and thankfully I have powerful allies—the experts at the NC State Cooperative Extension Service. After attending a class by Rhonda Sherman, Solid Waste Specialist at NC State Cooperative Extension, I got hooked on vermicomposting. It uses earthworms and other microorganisms to break down organic matter (aka my kitchen scraps) transforming it into a wonderful amendment for my soil. The internet delivered additional information as I set up my home vermicomposting system. A great place to start is composting.ces.ncsu.edu. You could also check out Rhonda’s new book “The Worm Farmer’s Handbook”—but try suggesting that as a gift to your civilian gift-givers and you’ll end up with socks. Stick close to other gardeners for this one. Loose, well-drained soil is the gardening gift that keeps giving and worth pursuing. While we were spared the flooding brought by Hurricane Florence we’ve had a wet fall—as I write this the rainfall recorded at RDU is 6.16 inches above normal. It hasn’t arrived in ideal one-inch-per-week increments; instead it has often crashed down delivering a few inches in an hour. Unabsorbed rain runs off causing erosion and carrying sediment into the creeks often resulting in environmental problems we collectively suffer. Persistence with my soil project has begun to pay off. Our landscape is healthy and pest free, summer requires little supplemental watering and planting beds have endured some heavy rains this year without serious damage. While not quite the soil of my dreams it no longer resembles the rock-hard clay present when we moved in. Sometimes the best gifts in life are those you work for, ones that money cannot buy. As for the Euscaphis japonica I am dreaming of, I’ll have to buy it myself.